An update is rolling out to Gear S2 smartwatches, with Samsung looking to pack in a ton of useful features. The update includes features from the Gear S3, more activity tracking, a Handwriting Mode, and much more. Features that are coming from the Gear S3 to the Gear S2 include the ability to look through the Galaxy Apps Store for downloading apps, as well as the watch faces you will find on the Gear S3. 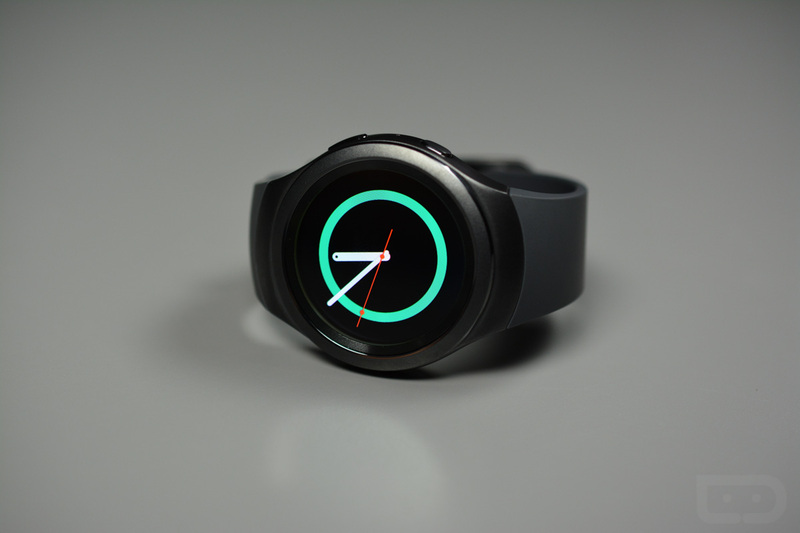 If you were planning to purchase the S3 just for the watch faces, you can hold off on that now. The update also tweaks with the bezel, now letting users accept or reject calls, dismiss alarms, timers and alerts for scheduled events. According to Samsung, a clockwise turn will answer or acknowledge an alert, while a counterclockwise turn will reject a call or postpone an alarm. A new Handwriting Mode is also available, letting users provide a more personal touch for messages to friends. Users can write messages in English, Korean, or Chinese. Users can also punctuate messages with sketches or choose a visual from the Gear S2’s emoji library. To top it all off, S Health has been enhanced to automatically recognize more activities, such as running, walking, cycling, elliptical and rowing-machine sessions. You will also see support for “Other Workouts,” such as high-intensity activities. If you are rocking that Gear S2, have at it.